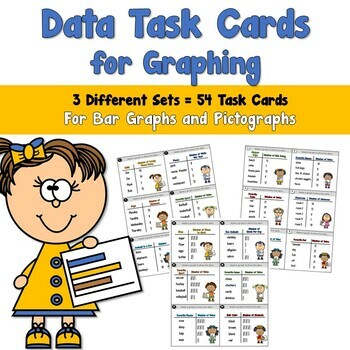 Data Task Cards for Graphing are perfect for students to use to represent data. 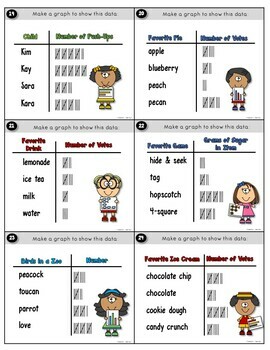 Students use the data on the task cards to draw and make a bar graph or a pictograph to represent data. 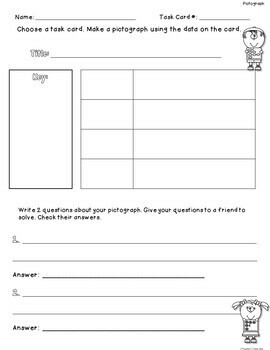 Recording sheets are included for students to make a pictograph and/or a bar graph. 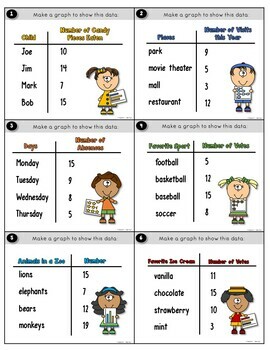 Students will be able to graph the data on the task cards and write 1 or 2 questions about their graph. Place the task cards and worksheets at a math center or use as part of your graphing unit or lessons.